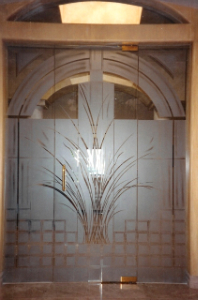 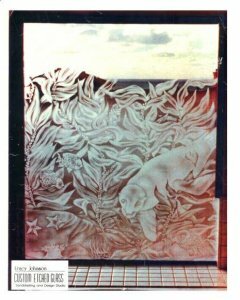 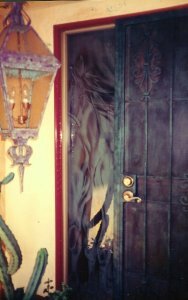 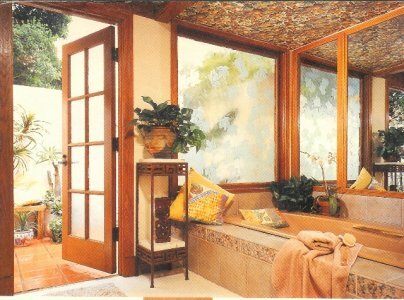 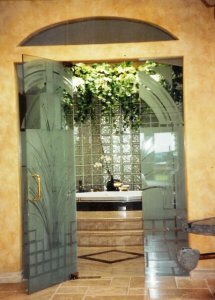 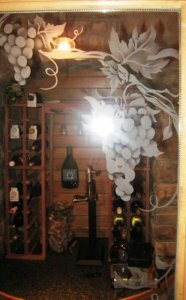 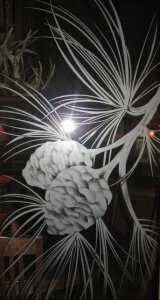 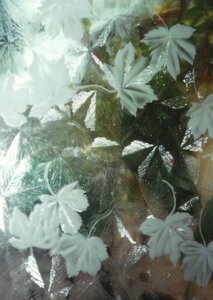 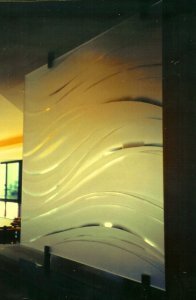 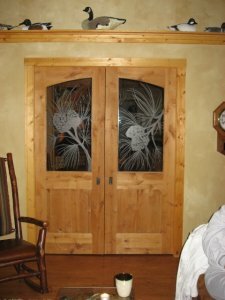 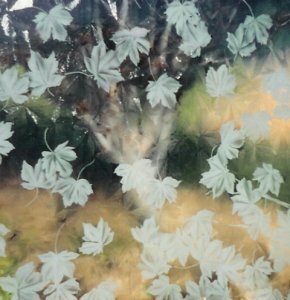 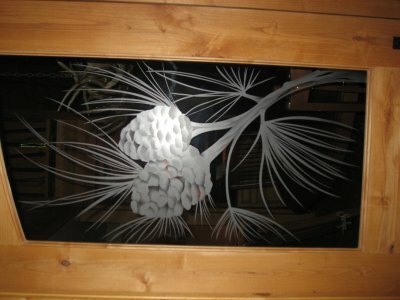 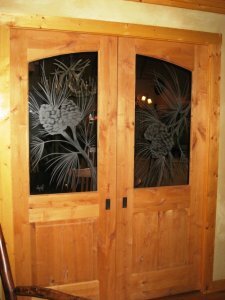 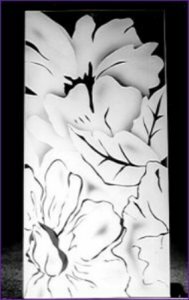 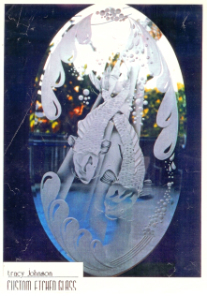 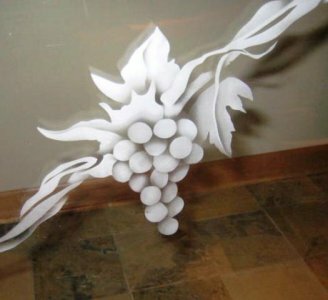 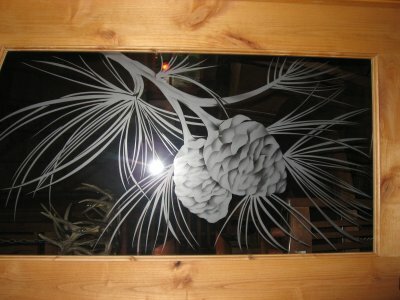 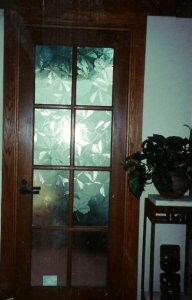 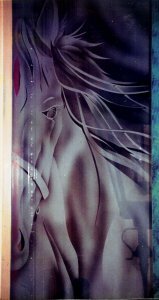 Since 1987, I have been designing and sandblasting on glass and mirror surfaces. 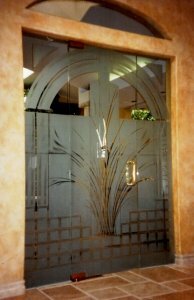 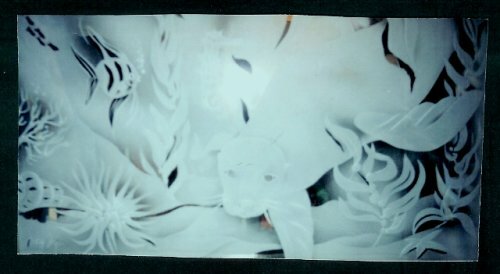 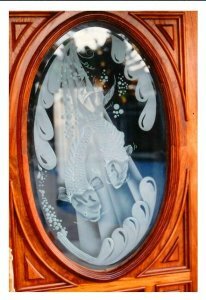 Glass Menagerie in Encinitas, California was the glass company that hired me to design and sandblast accessory mirrors for them that sold to furniture companies all over the world. 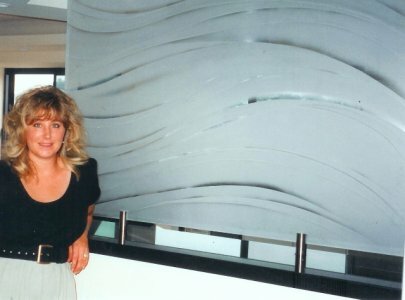 During this time of my work internship I worked with many interior designers and architects on many commercial and residential projects. 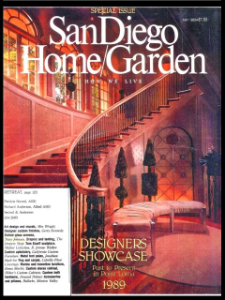 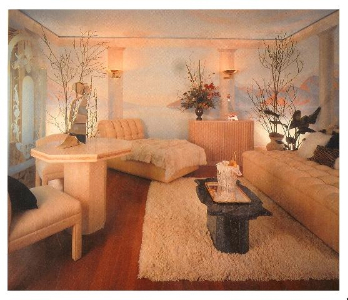 In May of 1989, my work was first published in the SanDiego Home/Garden Magazine Special Issue illustrating the DESIGNER SHOWCASE HOME on Point Loma. 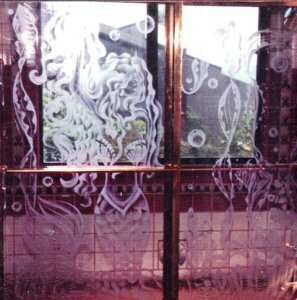 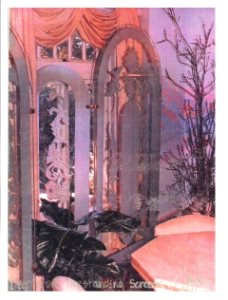 My Etched Glass Screens were designed, fabricated and etched to complement this fabulous over the top fantasy room for Secord and Anderson ASID.